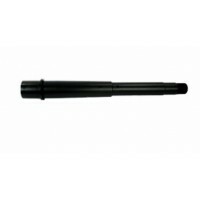 The AR 15 Barrels are manufactured considering some important factors like composition, rifling twist, length and profile. 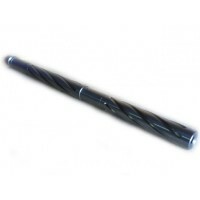 Choose the length of AR-15 barrels based on the purpose for which your AR-15 rifle will be used. Longer barrels give you more accuracy if you shoot for long range targets. 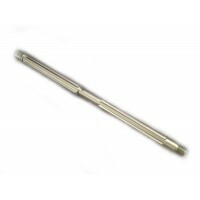 However, pistol length barrels are to make your target acquisition much easier when you intend to shoot for short range. 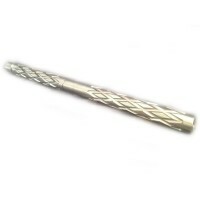 Both stainless steel and chrome molly variations are available in our stock. Our M4 contour barrels are of military standard which gives you a good strength, durability and weight. Our AR 15 barrels come with M4 barrel extension and extension pin installed. Each comes with gas port hole to bolt the cycle. So the decision is yours to make - which one is right for you. 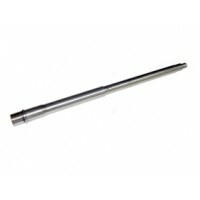 AR-15 5.56 11.5" Chrome Moly Barrel. 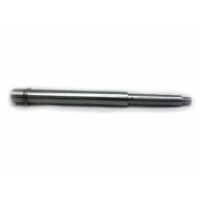 Made In the USA Chamber - 5.56 Barrel Thread - 1/2" x 28 Barrel Twist - 1 x 9 Barrel Steel - Chrome Moly Ba..
AR-15 5.56 11.5" stainless steel bull barrel 1-9 twist. Chambered in 5.56 nato (also accepts .223 rounds). Made from 416 stainless steel hardened to 26-32 rc and stress relieved. 1-9 rh twist. 6 groove button rifled. Carbine length gas system .936"diameter under gas block. 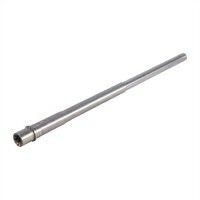 Target crowne..
AR-15 5.56 11.5" stainless steel hbar barrel 1-8 twist. Threaded 1/2-28 for attaching muzzle device. Made from 416 stainless steel hardened to 26-32 rc and stress relieved. 1-8 rh twist, button rifled. Chambered in 5.56 nato (also accepts .223 rounds). 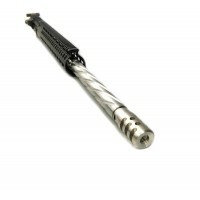 Carbine length gas system .750"diamet..
AR-15 5.56 11.5" stainless steel HBAR barrel 1-9 twist. Comes as seen in picture with barrel extension and extension pin installed. This barrel also has the gas port hole pre-drilled. Barrel extension has the m4 feedramps. 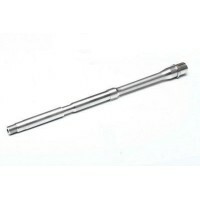 Made from 416 stainless steel hardened to 26-32 rc and stress relie..
5.56 16" Chrome Moly Premium Barrel. Made In the USA. 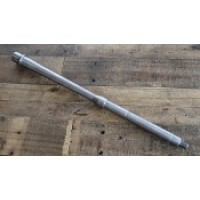 Chamber - 5.56 Barrel Thread - 1/2" x 28 Barrel Twist - 1 x 9 Barrel Steel - Chrome Moly B..
AR-15 5.56 16" nato stainless socom barrel mid length 1-8 twist. 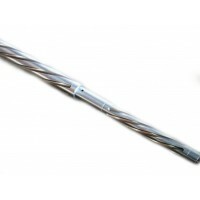 MADE FROM 416R STAINLESS STEEL AND HARDENED TO 26-32 RC AND STRESS RELIEVED. 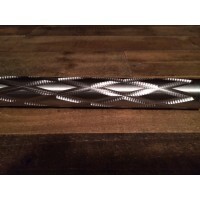 1-8 RH TWIST CHAMBERED IN 5.56 NATO .750"DIAMETER UNDER GAS BLOCK MID-LENGTH LENGTH GAS SYSTEM 1/2-28 THREADS FOR ATTACHING MUZZLE DEVICE CO..
AR-15 16" sabre defence mid-length barrel 1-9 twist. CHAMBERED IN 5.56 NATO (ALSO ACCEPTS .223 ROUNDS). MADE FROM 4150 CMV STEEL HARDENED TO 26-32 RC AND STRESS RELIEVED. BLACK PHOSPHATED COATED MID-LENGTH LENGTH GAS SYSTEM 1-9 RH TWIST BUTTON RIFLED. CHAMBERED IN 5.56 NATO (ALSO A..
AR-15 5.56 16" stainless steel bull barrel. Made from 416 stainless steel hardened to 26-32 rc and stress relieved. 1-9 rh twist. 6 groove button rifled. Chambered in 5.56 nato (also accepts .223 rounds). .936" diameter under gas block. Carbine length gas system. Target crowned muzzle..
AR-15 16" stainless steel bull barrel diamond fluted. Made from 416 stainless steel hardened to 26-32 rc and stress relieved. 1-9 rh twist. 6 groove button rifled. Chambered in 5.56 nato (also accepts .223 rounds). .936" diameter under gas block. 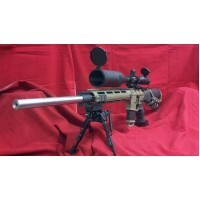 Carbine length gas system Target crown..
AR-15 5.56 16" stainless steel bull barrel diamond pulse fluted. MADE FROM 416 STAINLESS STEEL HARDENED TO 26-32 RC AND STRESS RELIEVED. 1-9 RH TWIST. 6 GROOVE BUTTON RIFLED. CHAMBERED IN 5.56 NATO (ALSO ACCEPTS .223 ROUNDS). .936" DIAMETER UNDER GAS BLOCK. 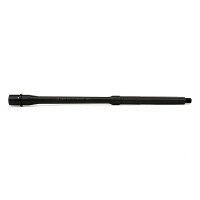 CARBINE LENGTH GAS SYSTEM T..
AR-15 16" stainless steel bull barrel x-treme fluted. Chambered in 5.56 nato (also accepts .223 rounds). Made from 416 stainless steel hardened to 26-32 rc and stress relieved. 1-9 rh twist. 6 groove button rifled. .936" diameter under gas block. 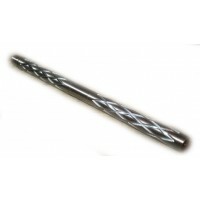 Target crowned Comes with barrel exten..
AR-15 16" stainless steel bull barrel x-treme spiral pulse fluted. Chambered in 5.56 nato (also accepts .223 rounds). Made from 416 stainless steel hardened to 26-32 rc and stress relieved. 1-9 rh twist. 6 groove button rifled. .936" diameter under gas block. 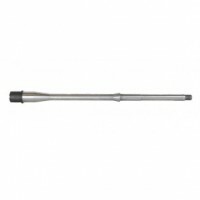 Carbine length gas system ..
AR-15 5.56 16" stainless steel hbar barrel straight fluted features: Made from 416 stainless steel hardened to 26-32 rc and stress relieved. 1-9 rh twist. 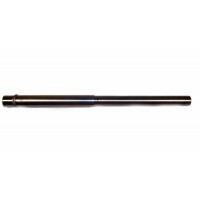 5.56/.223 chamber Carbine gas system 1/2-28 thread for attaching a muzzle device.750"diameter under gas blockPolished stainless..
AR-15 5.56 16" stainless steel heavy (hbar) barrel. 1-7 rh twist. 6 groove button rifled. Made from 416 stainless steel hardened to 26-32 rc and stress relieved. Chambered in 5.56 nato (also accepts .223 rounds). 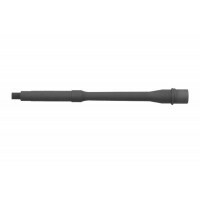 .750" diameter under gas block.Carbine gas system 1/2-28 standard threaded..
AR-15 5.56 16" stainless steel lightweight pencil barrel 1x9 twist. Made from 416 stainless steel, hardened to 26-32 rc and stress relieved. 1-9 rh twist, 6 groove button rifled. Chambered in 5.56 nato (also accepts .223 rounds). .625" in front of gas block, .625" behind gas block, taperi..
AR-15 5.56 16" stainless steel M4 barrel. Chambered in 5.56 NATO (also accept .223 rounds). MADE FROM 416 STAINLESS STEEL HARDENED TO 26-32 RC AND STRESS RELIEVED. 1-9 RH TWIST. 6 GROOVE BUTTON RIFLED. .750" DIAMETER UNDER GAS BLOCK. CARBINE LENGTH GAS SYSTEM. 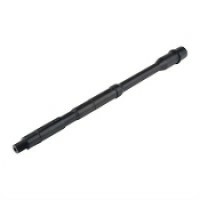 1/2-28 STANDARD TH..
AR-15 5.56 18" Aero Precision CMV Barrel, Rifle-Length is the perfect addition to your AR15 build. Crafted to mil- spec standards from 4150 Crome Moly Vanadium with a QPQ corrosion resistant finish, this barrel provides time tested precision and accuracy for your AR15 build. 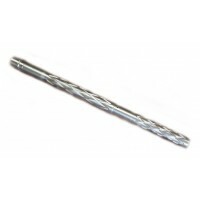 Manufacturer: Ballistic ..
AR-15 5.56 24" nato stainless steel barrel straight fluted 1-9 twist. Chambered in 5.56 nato. Made from 416 stainless steel hardened to 26-32 rc and stress relieved. 1-9 rh twist. 6 groove button rifled. .936" diameter under gas block. Rifle length gas system. Target crowned. 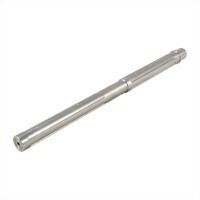 Comes&..
AR-15 5.56 7.5" Chrome Moly Barrel to complete your AR 15 Pistol Build. Made In the USA. 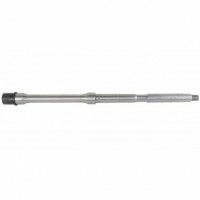 Chamber - 5.56 Barrel Thread - 1/2" x 28 Barrel Twist - 1 x 9 Barrel Steel - ..
AR-15 5.56 16" DIAMOND FLUTED STAINLESS STEEL HBAR BARREL. MADE FROM 416R STAINLESS STEEL HARDENED TO 26-32 RC AND STRESS RELIEVED. 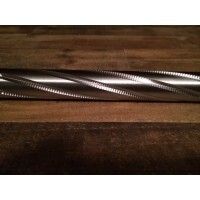 1-9 RH TWIST.BARREL SPECIFICS: DIAMOND FLUTED CHAMBERED IN 5.56 NATO/.223 WYLDE .750" DIAMETER UNDER GAS BLOCK. CARBINE LENGTH GAS SYSTEM. 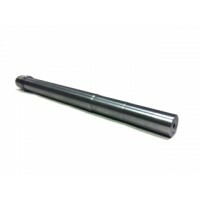 1/2-..
AR-15 M4 5.56/.223 14.5" blue contour barrel. Threaded 1/2x28 for flash hider. 14.5” M4 5.56 CALIBER BARREL GAS BLOCK .750 M4 BARREL EXTENSION MATERIAL 4140 ANNEALED 1-7 TWIST CARBINE GAS SYSTEM PARKERIZED ..
AR-15 16" black diamond stainless steel bull barrel. THIS ITEM IS A LIMITED EDITION BARREL. PLEASE DO NOT ORDER IT IF IT IS MARKED OUT OF STOCK. 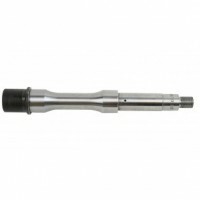 MADE FROM 416 STAINLESS STEEL HARDENED TO 26-32 RC AND STRESS RELIEVED.BARREL FEATURES: BARREL NITRIDE COATED BLACK AND FLUTED EXPOSING THE BLACK DIAMON..
AR-15 5.56/.223 24" stainless steel bull barrel. Made from 416 stainless steel hardened to 26-32 rc and stress relieved. 1-8 rh twist. 6 groove button rifled. Chambered in 5.56 nato (also accepts .223 rounds). .936" diameter under gas block. Rifle length gas system. Target crowned ..
AR-15 5.56/.223 Wylde 7.5" stainless steel pistol barrel. Standard 1/2-28 thread for attaching a muzzle device. Made from 416 stainless steel hardened to 26-32 rc and stress relieved. 1-7 rh twist. 6 groove button rifled. Chambered in 5.56 nato (also accepts .223 rounds). 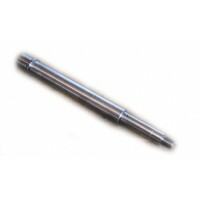 .750"diamet..
AR-15 5.56/.224 24" DIAMOND FLUTED STAINLESS STEEL BULL BARREL. 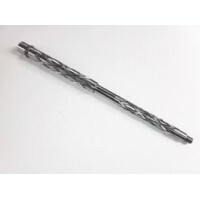 Made in the USAChamber - 5.56MM/ .223 Barrel Thread – Target Crown, 1/2x28 Barrel Twist - 1 x 9, 6 groove button rifled Barrel Steel - 416R Stainless Steel Barrel Finish&..
AR-15 5.56/.224 24" SPIRAL FLUTED STAINLESS STEEL BULL BARREL. 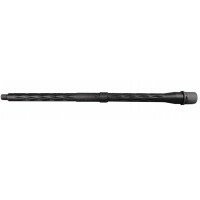 Made in the USAChamber - 5.56MM/ .223 Barrel Thread – Target Crown Barrel Twist - 1 x 8, 6 groove button rifled Barrel Steel - 416R Stainless Steel Barrel Finish - &..
AR-15 7.62x39 16" stainless steel hbar barrel straight fluted. Comes with barrel extension and extension pin installed. This barrel also has the gas port hole pre-drilled. Barrel extension has the m4 feedramps. Made from 416 stainless steel hardened to 26-32 rc and stress relieved. 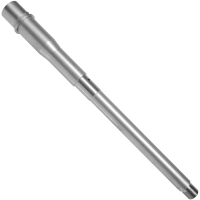 1-10 rh t..
AR-15 7.62x39 7.5" stainless steel pistol barrel 1-10 twist. Comes with barrel extension and extension pin installed. This barrel also has the gas port hole pre-drilled. Barrel extension has the m4 feedramps. Made from 416 stainless steel hardened to 26-32 rc and stress relieved. 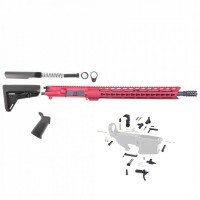 1-10 rh twi..
AR-15 Aero Precision 5.56/.223 16" CMV Mid-Length Barrel. 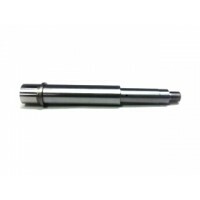 Crafted to mil- spec standards from 4150 Crome Moly Vanadium with a QPQ corrosion resistant finish, this barrel provides time tested precision and accuracy for your AR15 build. CHAMBER 5.56 NATO BARREL LENGTH ..